Schedule free safety check day now! We help Portland employers encourage cycling to work. Providing an on-site mechanic is an incredible benefit for your bike commuting employees. It saves them a ton of time and hassle shlepping their bike to the shop and back for repairs. Plus providing our services to your staff promotes a lifestyle that is better for employee health, productivity and ultimately your bottom line. Host a free safety check day for your staff today! Try us out for free and ensure your bike commuting staff is rolling smoothly and safely. Your staff will love it! All we need is a 8x10 ft location, time to do the work, and a staff member to get the word out. You'll get an on-site professional mechanic, vetted by our rigorous testing process, with a bike shop on wheels to provide expert advice and adjustments. Staff members can choose to purchase more services or parts individually if they feel their bike needs more care. We carry most wear parts, chains, tubes, cables and brake pads. Go the extra mile and offer sponsored tune-ups for your staff. If you would like to provide an incentive for commuters to ride to work, we offer discounted tune-up rates purchased by your organization. 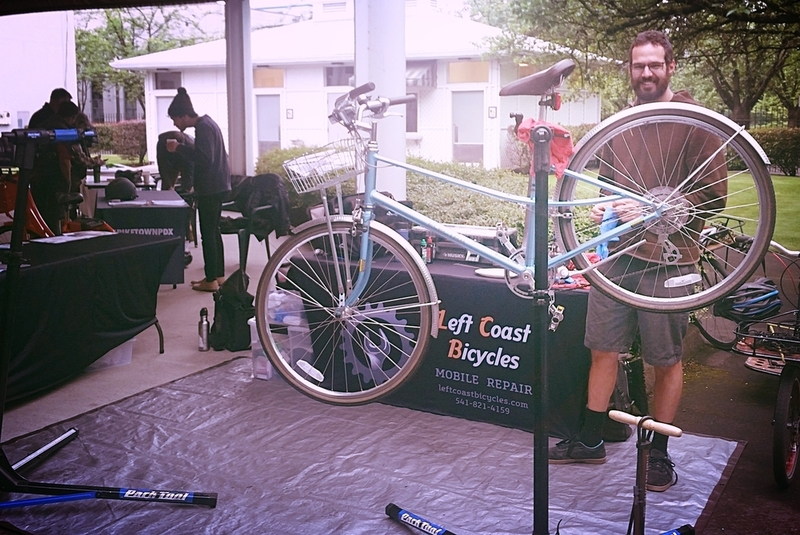 You'll get an on-site friendly and professional mechanic, vetted by our rigorous testing process , with a bike shop on wheels to provide expert advice and adjustments. We'll work with you to build the best service program based on your workplace size, and number of commuters. Provide a safe and smooth ride.